After accidentally unleashing the gods from their captivity on Olympus, Helen must find a way to re-imprison them without starting a devastating war. But the gods are angry, and their thirst for blood already has a body count. To make matters worse, the Oracle reveals that a diabolical Tyrant is lurking among them, which drives a wedge between the once-solid group of friends. As the gods use the Scions against one another, Lucas’s life hangs in the balance. Still unsure whether she loves him or Orion, Helen is forced to make a terrifying decision, for war is coming to her shores. 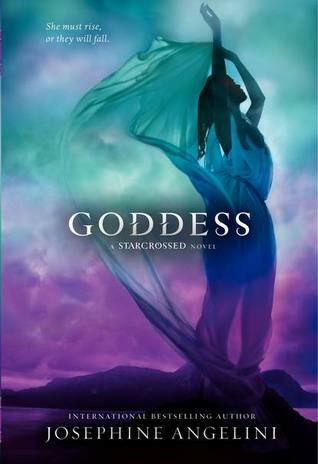 In Josephine Angelini’s compelling conclusion to the masterfully woven Starcrossed trilogy, a goddess must rise above it all to change a destiny that’s been written in the stars. With worlds built just as fast as they crumble, love and war collide in an all-out battle that will leave no question unanswered and no heart untouched. Goddess was a really good conclusion for this thrilling series. The war eminent war on between the gods and scions is bringing the tension all the way up. The little group of scions and mortals and breaking up their group and picking sides mainly because of the threat who everyone thinks is Orion. Unfortunately, to make matters worse, Helen is gaining her powers and can't seem to control the power or her emotions and that is causing people to back away from her. Her almost killing a bunch of people and hiding a bunch of important secrets also does not help matters. But there is a good side. Every person seems to get into a relationship; it might not always turn out good, but everyone get s a few moments of happiness. There is a lot more battles in this novel mainly because the gods are now out of Olympus thanks to Helen, Lucas and Orion. Helen is has become more of a strong character but is kind of annoying because she makes a lot of choices that could have been different. Otherwise she was a really good character and has become a lot more serious and mature since the first book. 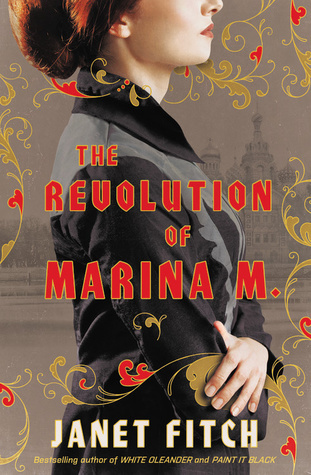 This book shows what tension can do to a person and is a lot more realistic than other books, but also the consequences of doing the right thing. Hades is a VERY important character in this book and I’m really happy about this. He finally shows his face and you learn how he is connected to all the characters. Hecate makes an appearance in this novel and that leads to some serious stuff and will give you heart attacks. It's incredible how some of the fights, resembles the exact fights that happened in the Trojan War. Also, you get a history lesson on the Trojan War to see what happened if you didn't know. It had a really good ending that did make you said because of all the choices people made, but I was waiting for something to really happen like a lot more people dying or not getting what they want. Not in an emo way, just a bit more excitement. But it was a really good ending and a great way to end of such a series. I am very sad this series is over but there is supposed to be short story still in the writing so I'm waiting on that.